Robotics (ISSN 2218-6581) is a fully refereed international journal that presents the state-of-the-art research work in the area of robotics. It aims to provide an international forum to report latest developments from robotic systems, autonomous behaviours, multi-sensor fusion, learning algorithms, system modelling, control software, smart actuators, and human-machine interaction. Special emphasis is given to technology innovation and real-world applications. The main objective of Robotics is to establish an excellent channel of communication between experts in academic and research institutions, practitioners and professionals working in the industry, and policy makers. Robotics publishes original papers, technical reports, case studies, review papers and tutorials in all the aspects of robotics. Special Issues devoted to important topics in advanced robotics will be published from time to time. It particularly welcomes those emerging methodologies and techniques which bridge theoretical studies and applications and have significant potential for real-world applications. It provides a forum for information exchange between professionals, academicians and engineers who are working in the area of robotics, helping them to disseminate research findings and to learn from each other’s work. 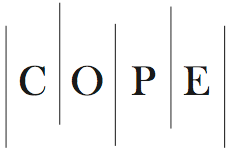 Robotics is a member of the Committee on Publication Ethics (COPE). MDPI takes the responsibility to enforce a rigorous peer-review together with strict ethical policies and standards to ensure to add high quality scientific works to the field of scholarly publication. Unfortunately, cases of plagiarism, data falsification, inappropriate authorship credit, and the like, do arise. MDPI takes such publishing ethics issues very seriously and our editors are trained to proceed in such cases with a zero tolerance policy. To verify the originality of content submitted to our journals, we use iThenticate to check submissions against previous publications. MDPI works with Publons to provide reviewers with credit for their work.